Up to 20 Member Shop Profiles Included In Starting Pkg. Expandable. Shop Profile Pages, Map Navigation By Zone, Car Giveaway System, Online Nominations, Invitation System, Public Voting, Private Judging, Badwords Filter, Map & Image Gallery on Shop Profile Pages, NAPA Video Popup Player. Your website is your most important online marketing asset. But to be more precise, it is the centerpoint of a wider strategy of internet marketing. The goal is to find your customers wherever they are, and bring them to where your story is at its best - your website. You need all the best marketing and customer relations management tools, and you need them working for you through your website. 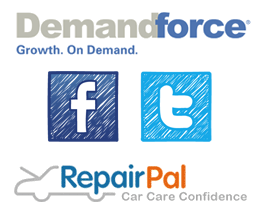 If you use DemandForce, we offer a pre-integration solution to help you make better use of DemandForce appointment scheduling, review streams, ratings widgets, in conjunction with DF3 other social media marketing services. In addition to support your social media marketing, your site will integrate your facebook page info, twitter threads, etc. And after you get them to your website, you must deliver an impressive array of information, tools and resources - which will demonstrate your confidence in your service, and give your prospective customer confidence in you. Instant online repair cost estimates, discount coupons, and coming soon exclusively available to NAPA AutoCare Centers, the NAPA Service Assistant - fully integrated into your website. 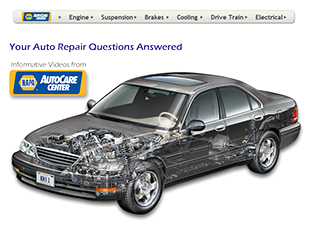 30 professionally produced videos on key auto repair topics of interest to your customers. With all of these services and resources available through your website, your prospective customers will have no need to go elsewhere to get the information they need. is not something to be ignored. You have found the best web development partner, and the right internet marketing resource to get you to your goal. Just call, or send us an email. In a very short time you will be on your way toward a more powerful intenet presence, and toward making your web strategy more profitable than it has ever been. 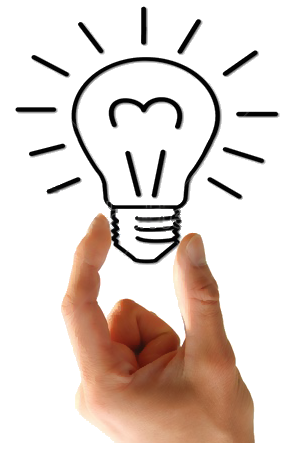 Expanding Your Reach means to leverage all of the best ideas - all forms of marketing - to create as many touch point resources as possible. This includes Internet marketing, social media marketing. search engine marketing plus your 'on the ground' programs. This short list is just the tip of the iceberg. We drive toward measurable results, and online media is the key. Reviews, Email and CRM. DemandForce is pre-integrated with your new website. When you subscribe to DemandForce, your site can become a great tool to stay synchronized with your customers, and to expand your review base. Business Development Group (BDG) Marketing. Join it, support it, be creative & stick with it. The best resource for your BDG is a great website. It will become a significant marketing resource to all member shops. We build the best BDG sites around. Community Outreach. Your BDG website is the foundation for significant outreach to the community. It will bring media coverage to you and to the group. Facebook. Facebook features are pre-integrated in your new website. Prices start at under $3000, or ask about our monthly subscrption for all of your web design and marketing needs.